Business Resources in Pulaski County - Beans and Rice, Inc.
Capital Assistance — Microcredit and micro loan products are designed to help get your small business off the ground and grow your business quickly. Amounts available range from $300 to $50,000. Loans from Beans and Rice, Inc. can be used for start-up costs, working capital, inventory, equipment, and more. If you currently own or are planning to start a business in Pulaski County, Virginia, we’re here to help. Small Business Training — Our Roots Entrepreneurship Training workshops cover a different business related topic each month. Participants gain practical business resources that help improve financial management, operations, planning, product development, and profitability. We also host a yearly intensive course on small business development which includes classes on market analysis, pricing and profitability, and business planning. Beans and Rice, Inc. uses the proven curriculum of Operation JumpStart to prepare our entrepreneurs for a successful business launch. Technical Assistance — Let Micro Solutions’ dedicated team of micro-enterprise experts assist you with writing a small business plan, researching your small business market, and more. We are the most experienced provider of one-on-one start up and expansion planning services in Pulaski County. If you are looking to start your own small business and need less than $50,000 to get going, we have a comprehensive set of business resources to meet your needs. 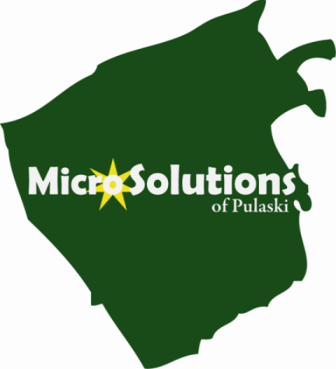 Micro Solutions has been helping small businesses in Pulaski County since 2009.